October 8, 2018 at 7:02p.m. 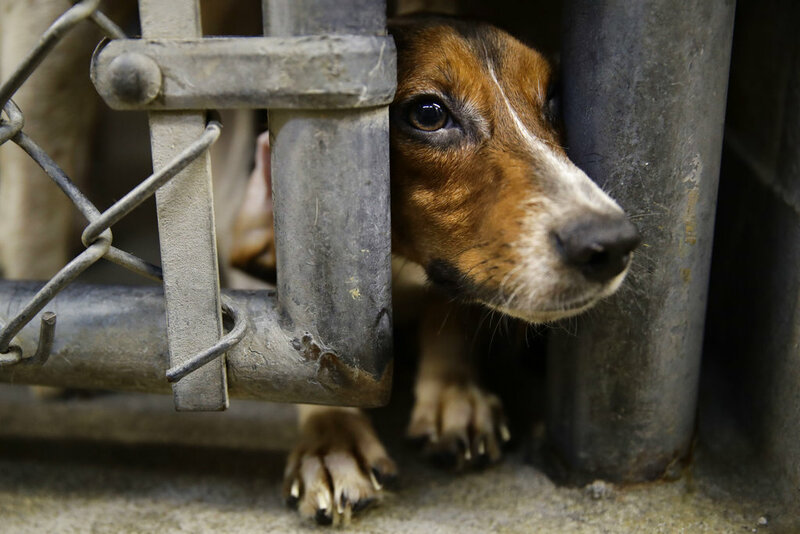 Photo by Associated Press | A rescued beagle peers out from its kennel at the the Lehigh County Humane Society in Allentown, Pa., on Monday. Animal welfare workers removed 71 beagles from a cramped house in rural Pennsylvania, where officials say a woman had been breeding them without a license before she died last month. The Lehigh County Humane Society got a call late Saturday from police who responded to noise complaints at a home outside Allentown, said Barbara Morgan, the Humane Society’s police officer. The woman died in September, leaving the man with the animals, she said. He will likely face charges. October 15, 2018 8:10 p.m.
October 8, 2018 11 a.m.
October 19, 2018 10:21 a.m.